Within Teamwork Projects you can use PieSync to sync contacts across Teamwork Projects and Teamwork Desk along with other cloud based applications. You can find a link of supported PieSync applications here. When using PieSync your contacts are synced in real time across all linked applications. For example, if you add a contact to Teamwork Desk this contact will then be immediately synced to Teamwork Projects. To set up this integration you will first need to create a PieSync account or log into an existing account. Once you have created your account you can then choose which apps you would like to sync. When you select your first app you will be given a list of apps that are compatible with syncing with it. Once you have selected both apps, you will be asked to authorize. In the example below, Teamwork Projects and Teamwork Desk have been selected. Note: The process will vary depending on which apps you wish to sync to a Teamwork product. 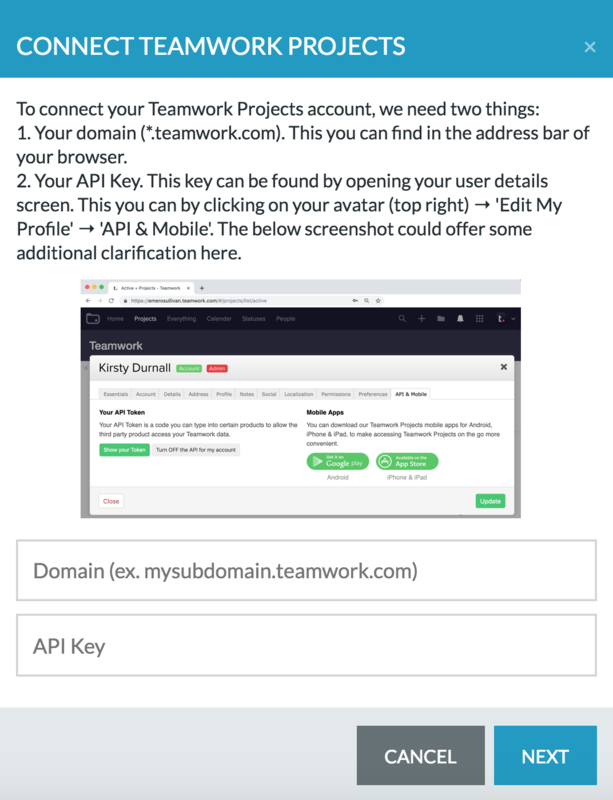 When you choose to add an account you will be asked enter your Projects domain name and to locate your Projects API key. Next you will be asked to enter your Desk domain name and to locate your Desk API key. 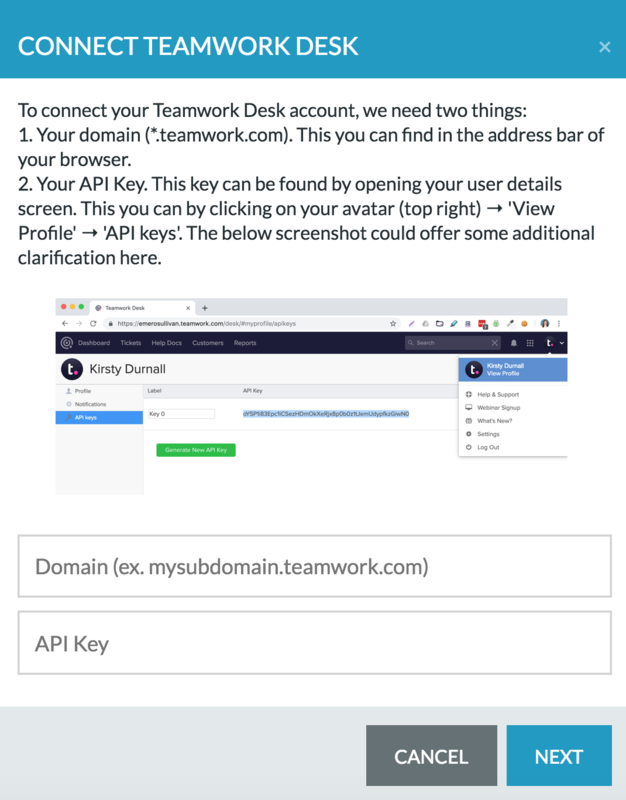 Once you have entered both domains and API keys you will then be able to configure the sync between both apps. Teamwork Projects configuration can be found here. Teamwork Desk configuration can be found here.